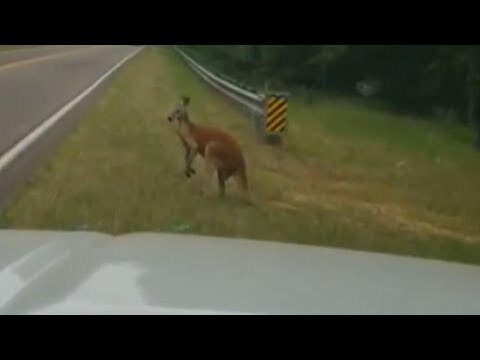 Is that a kangaroo leaping on the side of a busy roadway? The marsupial was caught on camera this week, not in Australia, but South Carolina. Fortunately, the runaway hopper is now safe and sound back on its farm. It’s likely not the same one that was spotted on the run in Iowa back in 2016.